I’ve researched books in a creepy Catawissa cemetery, on top of a 2000 year old Mexican pyramid, and at a Roman amphitheater in Wales. 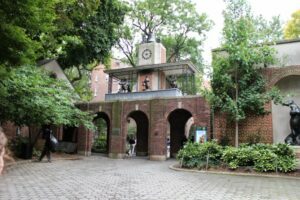 Most recently, I went to New York City to visit the Central Park Zoo. My family made a whole day out of it. 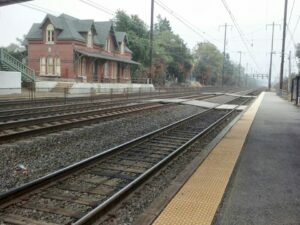 We took the train from the University of Delaware Amtrak stop in Newark, Delaware. It’s a little station. I mean LITTLE. 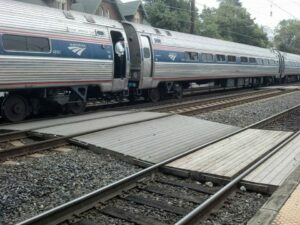 When the train stops for you, there’s only one car you can board, and you have to cross the tracks to do so. 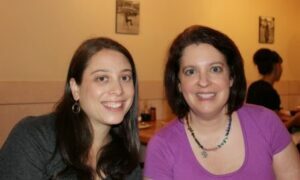 When we arrived, we went for lunch before the zoo, and I got to meet up with blogger-friend Melissa Sarno. Then it was off to Central Park. 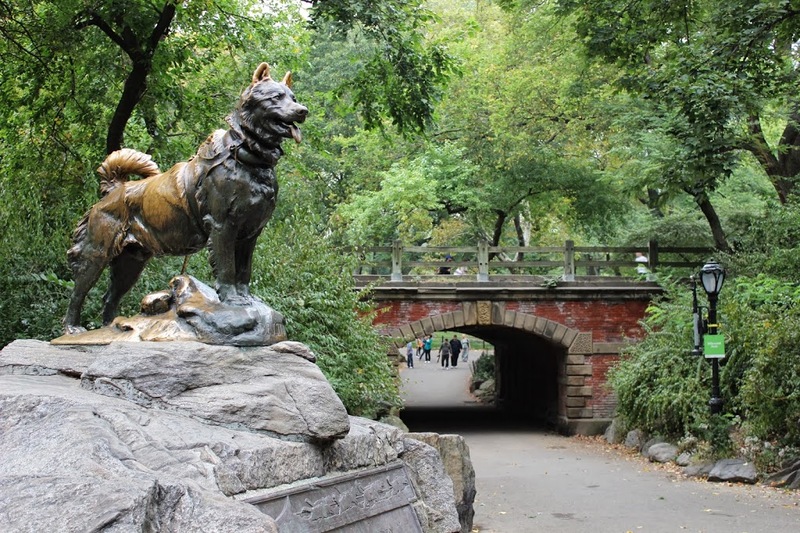 Before the zoo, we made a point to visit the Balto statue. I have an important scene here in The Eighth Day #2. My daughters were impressed that the entrance to the Central Park Zoo looked just the way it did in the movie Madagascar. But I was really here to replace a scene I had already written in the manuscript. You see, the polar bear tank played an important part in my Central Park Zoo scene, but sadly, Gus the Polar Bear recently died. The fate of this exhibit is uncertain. I chatted with a zoo employee who said that the Zoo — and Mayor Bloomberg — would really like to have another polar bear. But acquiring one is tricky. It would have to be a rescue situation, and it would have to be determined by experts that this exhibit was right for that bear. Chances are, this exhibit will no longer exist by the time The Eighth Day #2 is published. 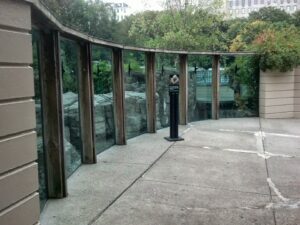 So I spent most of my visit to the zoo surveying a replacement: the snow leopard exhibit. While we were there, the male snow leopard made one of his rare appearances, approaching the observation platform and showing himself to the visitors. 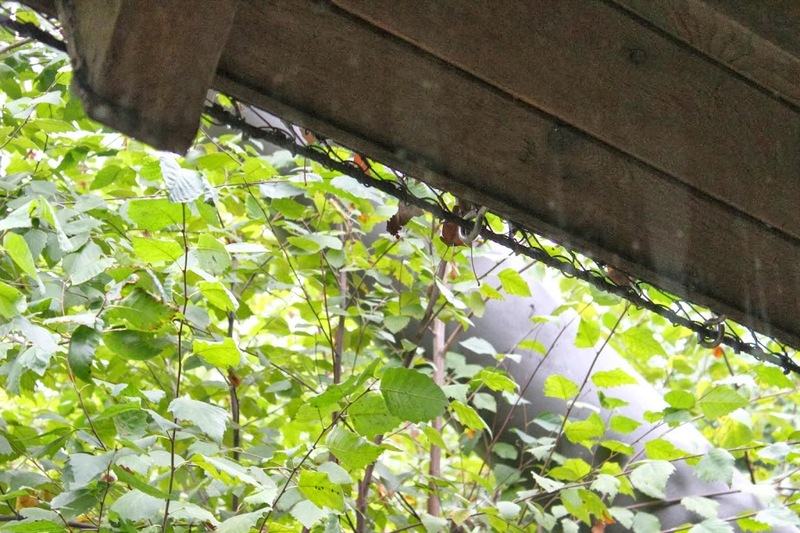 And … we totally FAILED to get a picture of him. We were too busy taking pictures of the eaves of the observation platform. You can tell you’re a writer when people are climbing over each other to take pictures of a beautiful snow leopard, and you’re off to the side taking pictures of how a steel net is attached to a building with eye bolts. There it is folks, the thing I went to New York City to see. Bolts. It’s a glamorous job, researching books! And I’ll be back on Friday with a very clever scavenger hunt leading up to Lexa Cain‘s cover reveal for Soul Cutter. Awesome how much research you do for your books, Dianne. And funny what you were taking pictures of at the zoo, unlike other visitors. Ha! I love all the travel you do for your books! I am envious that you get to do so much travel for your books. Amazing! I was supposed to go to the pirate museum this summer to research the book I’m currently writing. But we couldn’t go, and once I started writing, I realized I couldn’t have pirates in the book, so I guess it’s a good thing. But next summer we’re going home again for a few weeks and I’ll be basking in research. Yay. Love those eaves. And that would be something I would do. Taking pictures of what I need instead of what I want. 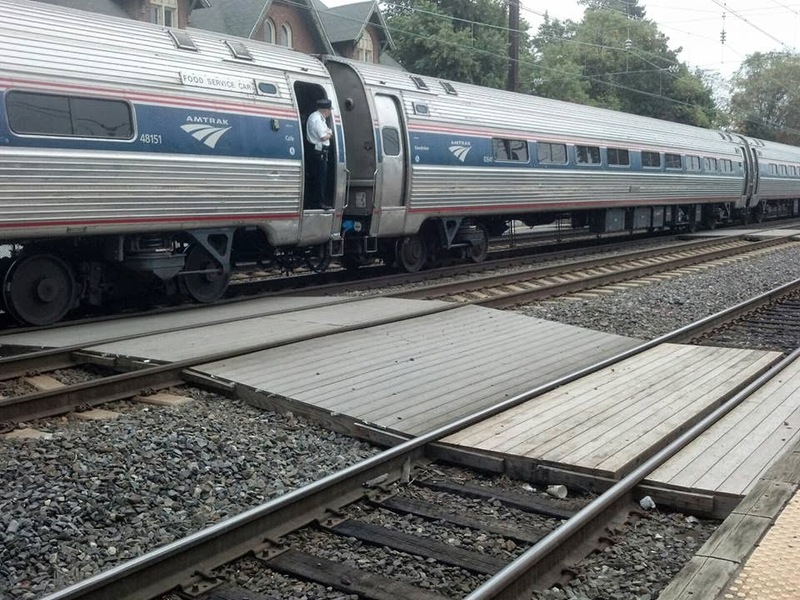 Aw, too bad you missed the picture opportunity. I love kitties, big ones included. I’m exactly the same way. Need to see, know and feel the place I’ll be writing about. Glad you had a great research trip. And seriously, SO jealous you got to have lunch with Melissa! It was so lovely to see you, Dianne. And I’m happy you know how to break into zoo exhibits as a result of the trip. Can’t wait to read the new scene! Hi Dianne .. how sad to think they’ll close the Polar Bear enclosure .. mind you it must be a lonely existence and perhaps if the bears are more in their own environment being looked after they’ll be happier.